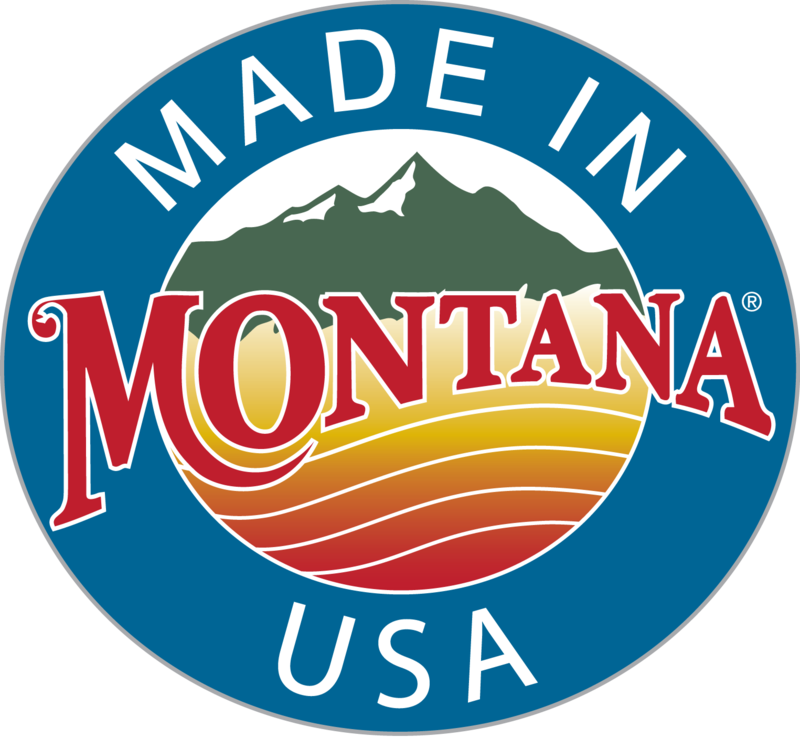 Western Montana is a perfect location for this category. There are many lumber mills, logging companies and companies that specialize in building log homes. These trucks are a common sight on our highways. Because we are located in the heart of Western Montana, we just had to have a logging truck. Our Large Logger is a one-unit truck, with driver and a load of 6 finished peeled logs. Constructed of oak, walnut and maple, it has a natural oil finish. The logs are removable. Of course, you might need help with that. Out here in Montana, there are bulldozers to move the logs and crane trucks to load the logs on to the logging trucks. You might consider adding our Crane Truck and/or our Bulldozer Unit to your Log Truck purchase. The Helicopter is part of D and ME Logging because it is used to help pick the trees that are selectively cut out of hard to reach terraine. 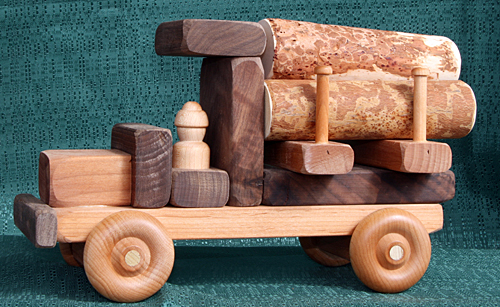 The Large Logger is a perfect collectible for a professional who works in the wood products industry, as well as a play toy for the older toddler. NOTE: All of our wood comes from USA sustainable forests.